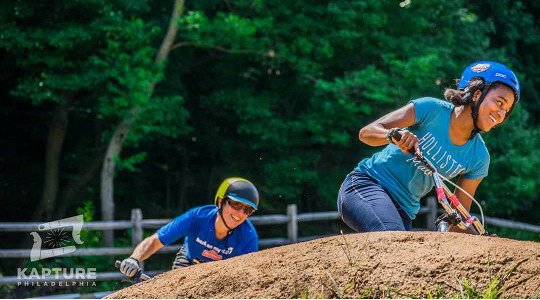 Each year we kick off the season with a Pumpjam that usually happens on the first Saturday of May. 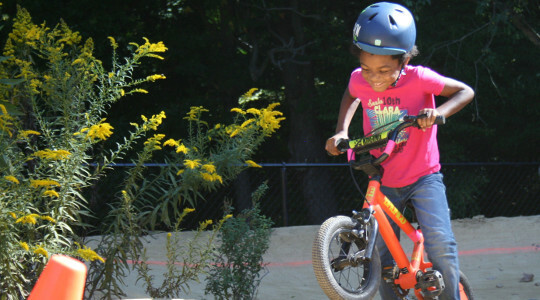 In addition, we host the Philly MTB Phestival each year as our one fundraiser for the track. That event is usually held the second Sunday in June. We will occasionally host additional events on holiday weekends – please follow us on Facebook and Instagram to learn more and find exact dates. Every Wednesday, weather depending from April through October we host a “Dig Night” that allows for ongoing track maintenance. 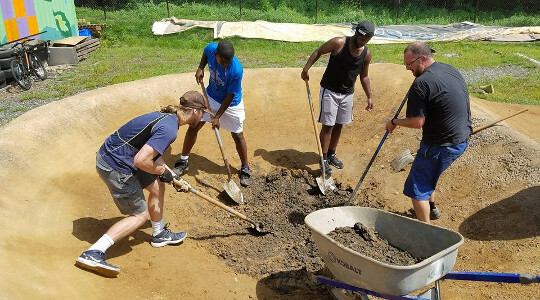 The Philly Pumptrack is a dirt track and needs upkeep. 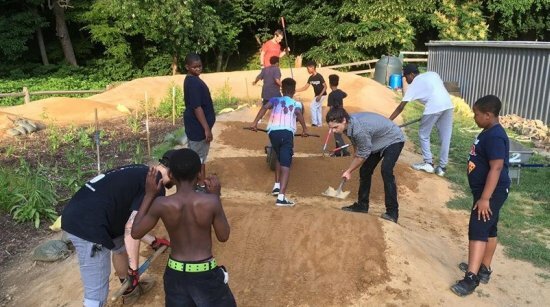 On Wednesday nights new and old volunteers come together to foster the “Dig to Ride” culture to work on the track and bbq afterwards. Dig nights start at 6pm weather permitting. 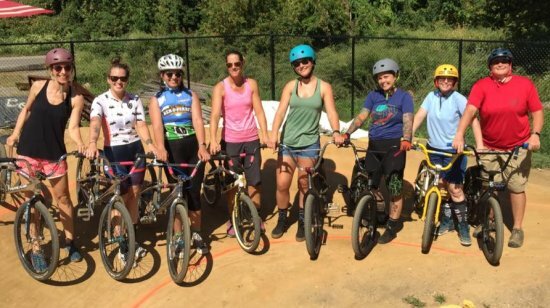 We host 4-5 Ladies Only sessions at the track to allow for girls, women, trans, femme, riders to enjoy a stress-free time. 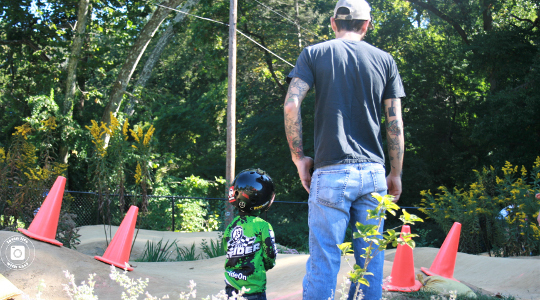 We provide an initial lesson and 2 hours of riding. These sessions are held from 10am-noon, before the track officially opens so that we can maintain the WTF only space. Please check our Facebook and Instagram accounts for dates this summer. Ladies Days are sponsored by Beneficial Bank. We have held one 5 and under day which drew over 40 parents and kids. Just like Ladies Only days these sessions are held from 10am-noon, before the track opens. 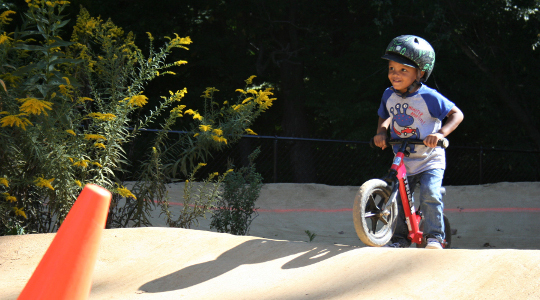 These sessions are led by Michael Makoto Kasama, track ninja who has a 3.5 year old and a one year old. 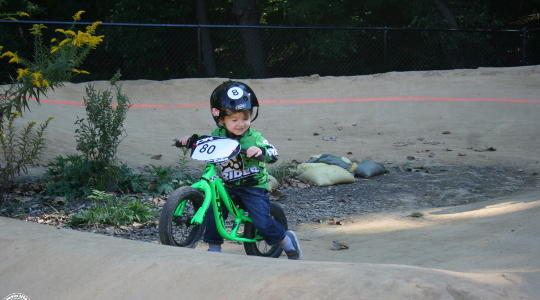 Three and half year old Marc Makoto Kasama leads the way during these days. Follow us on Facebook and Instagram to learn more about these sessions and specific dates. 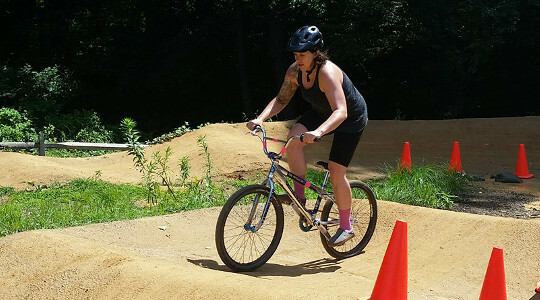 The Philly Pumptrack is a public park. We allow birthday parties at the track. If you come during regularly scheduled hours it is best if you alert us ahead of time so we can arrange a stress-free event. 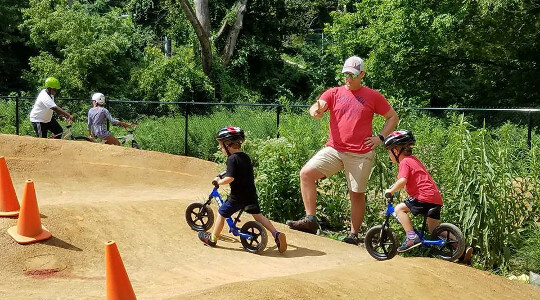 We can make sure that your group is provided individual attention, lessons and tips if needed and to make sure that bikes are shared properly. We can also provide a tent if needed to set up outside the fence. Bring your own food, tables, chairs and set up outside the fence or come on in and set up inside the fence alongside the big track. 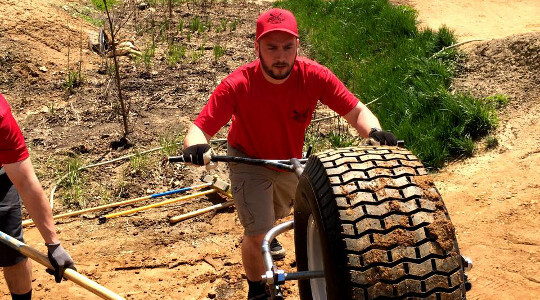 We request a minimum $100 donation to help support the ongoing maintenance of the track, gas for the generator, bike parts, and overall track upkeep.